‘Everything happened seen and unseen’ is pretty good too – I’m fairly sure that’s what reality is actually up to. A great opening line, isn’t it? 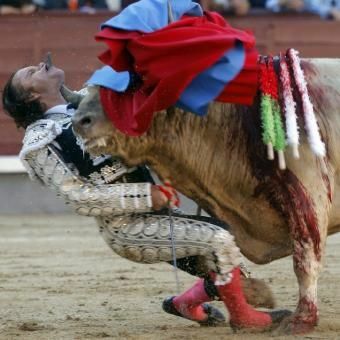 And the bull ‘made him lose verticality’, which, alas, happens all too often in this reality.